Parramasala is on again! 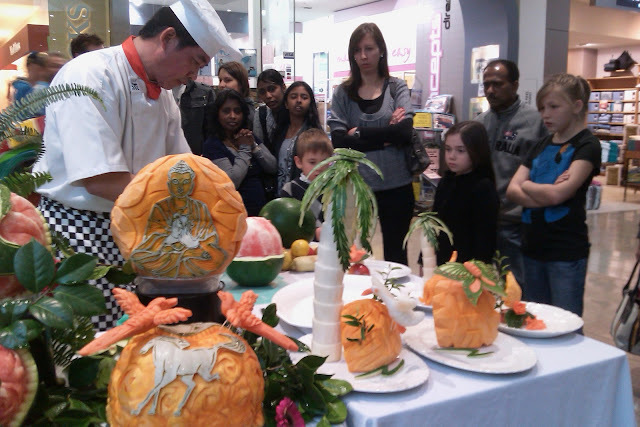 It’s very exciting to see the sights of Parramatta celebrating Parramasala 2011. The world’s unique international arts festivals come to Parramatta for 8 days of exceptional arts and entertainment and will be held from Sunday 30 October to Sunday 6 November. The festival includes a diverse program featuring artists from all parts of the globe who have are inspired by rich artistic traditions and cultures that originate in South Asia. From the very contemporary to the sublimely classical, the performances, screenings, concerts and showings will offer experiences that embrace, entertain and inspire. See all the free things to do here. So what is happening at Parramasala 2011? – Contemporary artists Surabhi Saraf and Fiona Davies present works in the public spaces of Parramatta inspired by the act of folding fabric. – How cool is this?! Funky Tablatronics: an exciting arts media collaboration between Maharshi Raval (tabla) and Tokyo Love-In (sound artist and multi-media) – a mix of South Asian instruments with modern electronic beats. Because there is so much going on, I reckon the best way to see what you want to check out is using the Festival Planner below or you can even use the nifty Parramasala Planner. After weeks of staring at their blank little faces and collecting dusk, I decided to start on my next crafty project. I made the set below over a weekend. Well, I didn’t exactly make it from scratch, but I bought the wooden blank bubbys from a store called Bubushkas and painted the set myself. This is my second set that I have made and is much much better effort than my first, so practise makes perfect. They are so delightful and really are a nice gift for all ages. 1) Make an even base coat using white matt spray paint – make sure these dry completely before painting over. 2) Do some research and google some pictures of bubushka designs and ideas. For my dolls, I decided to go with some pretty contrasting vintage colours with red and baby blue for the majority of the dolls, with touches of floral motifs and pretty white lace look. Now, there are a ton of different styles and designs of bubbys that are available and really is only limited by your imagination. 3) Once you’ve chosen a design that you would like to work with, sketch it on to some paper, to work out the body shapes and basic design – this way you avoid putting too many pencil marks which can messy when you start the painting process. 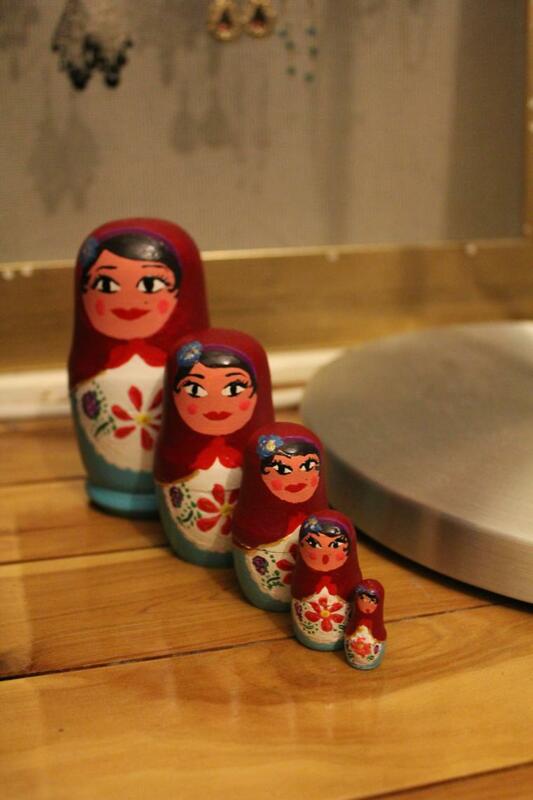 Try to keep the design similar from the biggest to smallest doll, so there is continuity and a theme between them. 4) Once your happy with the basic sketch, I suggest painting starting with base colours and with the biggest portions to paint – the hood and skirt and apron and work toward the finer details as you go. Let the paint dry before continuing painting layers, as you dont want any messy lines.This way the lines stay clean, especially around the eyes. As the dolls get smaller, with a steady hand, work on painting on details such as flowers, swirls or make up for the face. The eyes and mouth are the most important features so keep it simple. 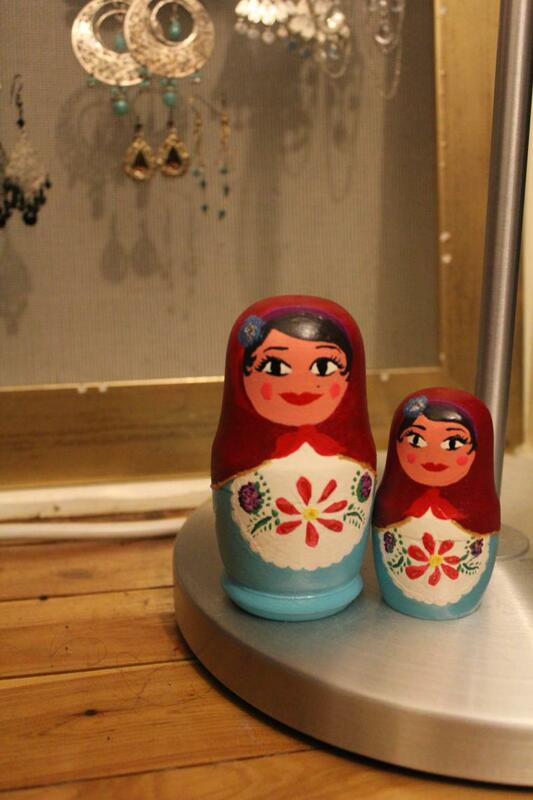 5) Add some flecks of gold for a decorative rich feel, it adds a subtle dimension to your dolls. 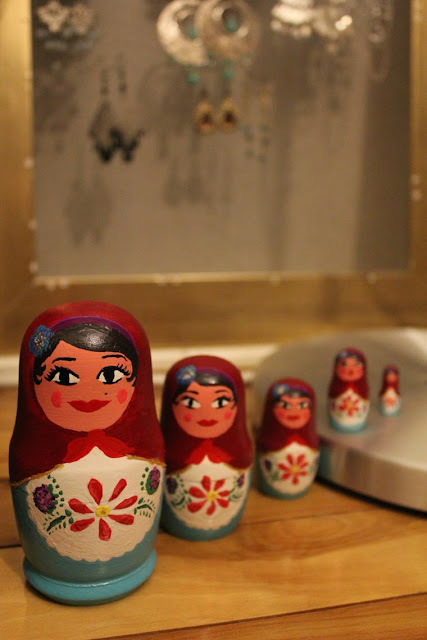 6) Once your dolls are painted and dried, add a final coat of clear spray paint to lacquer the dolls. This way the paint doesn’t chick and smug easily and makes them last longer when people pick up and play with them. I came across this chef at my local Westfields Shopping Centre when I was procrastinating on having to do house work and decided to go shopping instead. 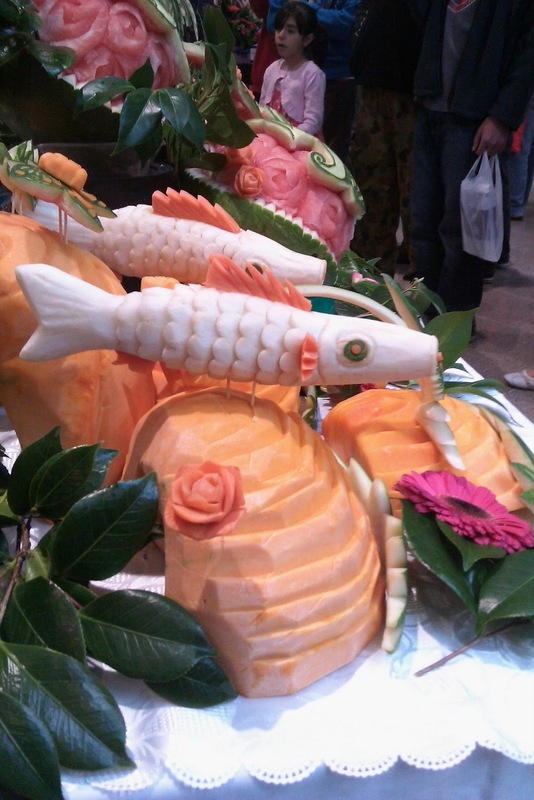 This Chef/Artist easily drew a crowd with his exquisite creations that are too good to eat! 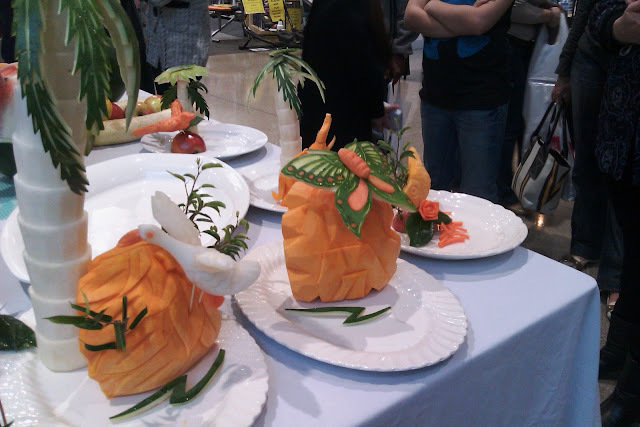 From what I can tell, this chef uses tools that are more commonly found in an art studio, inlcuding scalpel and carving tools, cutting mat and of course one hell of a sharp knife! If this doesn’t get kids interest in healthy fruits and veggies, what will? 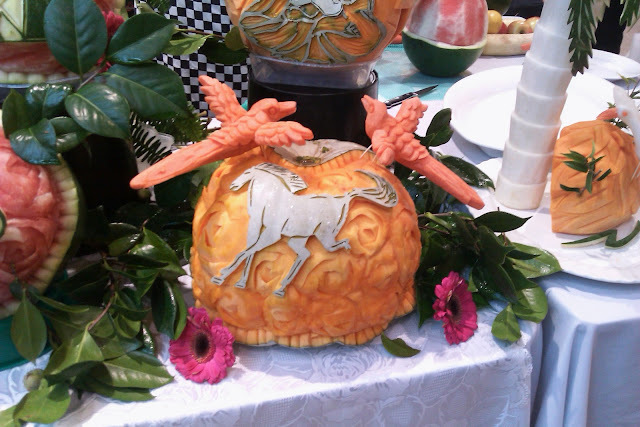 As he carves fruit after fruit, the scene that begins to form is an exotic menagerie of exotic fruits and veggies, landscape and animals. 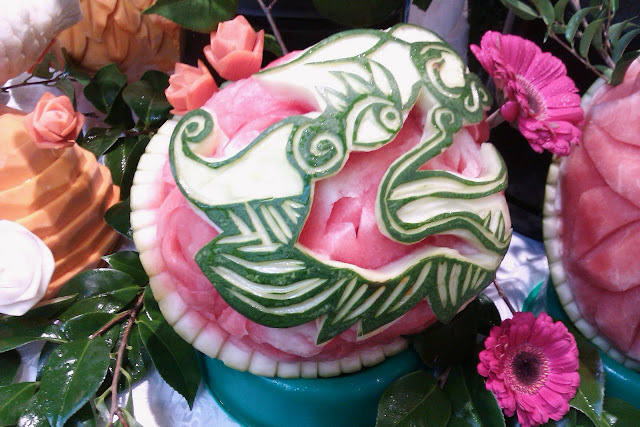 What a beautiful Asian inspired Dragon face carved into a watermelon. As this is all hand crafted before the onlookers eyes, every stroke is intentional and there is so much thought and detail placed into each of these works of art. 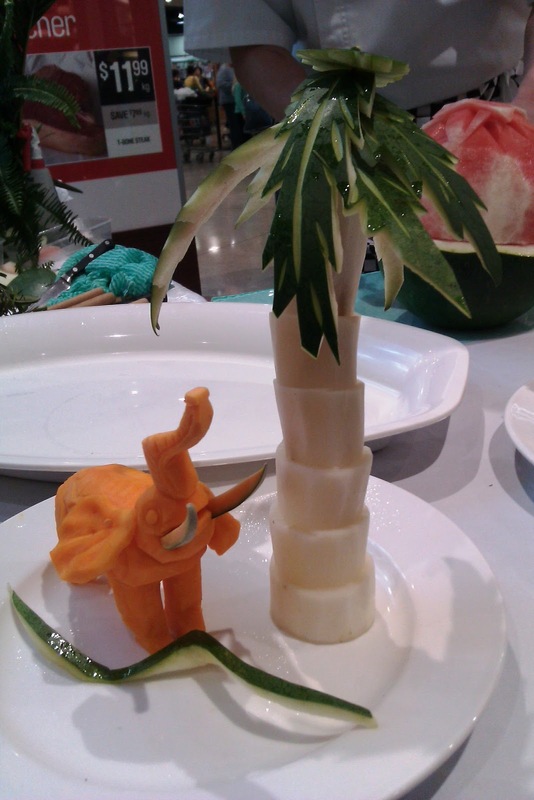 This little guy was probably my favourite – an elephant made from carrots, amazing…. Some Koi inspired fish swimming in an underwater world.